Some collect cards, I collect gaming mice. It's a bit of an obsession. They're like my weapons and many of them have a use. I've had my hands on just about every gaming mouse on the market. Below I've narrowed my favorites down to three. One for fingertip, palm, and claw grips. There's a lot of good gaming mice on the market that now have what I'd consider flawless optical sensors. The case can be made that one of these sensors is slightly better than the other; however, this difference seems negligible to me when compared to the shape and weight. As someone who plays competitively in FPS games, I just want something that can fit various grips that I use throughout a match or when practicing. I tend to switch grips based on the situation and whether I need quickness, accuracy, or a grip that I can hold for hours. If you prefer to use a single grip or simply use one type more than another, look for a mouse that has a shape that works well with your type of grip. The size of your hands should also be a consideration. Below, I'll take you through a few of my favorites. If you're not sure what type of grip you have, here's a brief explanation. Without a doubt, the Razer DeathAdder Chroma is the most popular mouse on the market right now. I've surveyed thousands of gamers and the results are overwhelming. On the other side of the coin, anytime I bring up the Razer DeathAdder I have a hundred people tell me how poor Razer's quality is and how fast it will break. Having used the last 3 generations of Razer DeathAdder I can tell you that I haven't had one break on me yet. At the same time, I've broken several other mice in my lineup. With that said, my favorite palm grip gaming mouse is the Razer DeathAdder. It sits beside my Castor on my desk and is a good option to have based on what I'm doing. In the DeathAdder, Razer has rubberized thumb grips on the right and left side of the mouse and a shape that works for just about any type of grip. Unless you're a pure fingertip grip gamer with big hands, I'd go with either the Razer DeathAdder Chroma or the Castor above. Those who have a fingertip grip with medium to large sized hands that want weight tuning and a slightly larger mouse should consider the Logitech 502 below. The Razer DeathAdder is still the most popular gaming mouse on the market. It can be used for virtually any grip and is even good for most hand sizes. It's lightweight, has good grip, and ideal for twitch-sensitive games. The Razer DeathAdder essential is a good budget gaming mouse that's nearly identical for around $10 less. 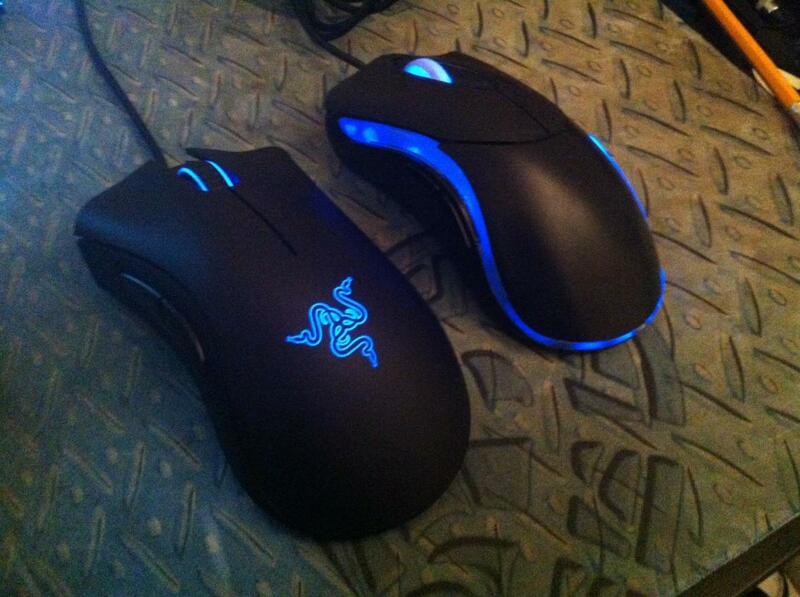 The DeathAdder Elite is another good option that is very similar. 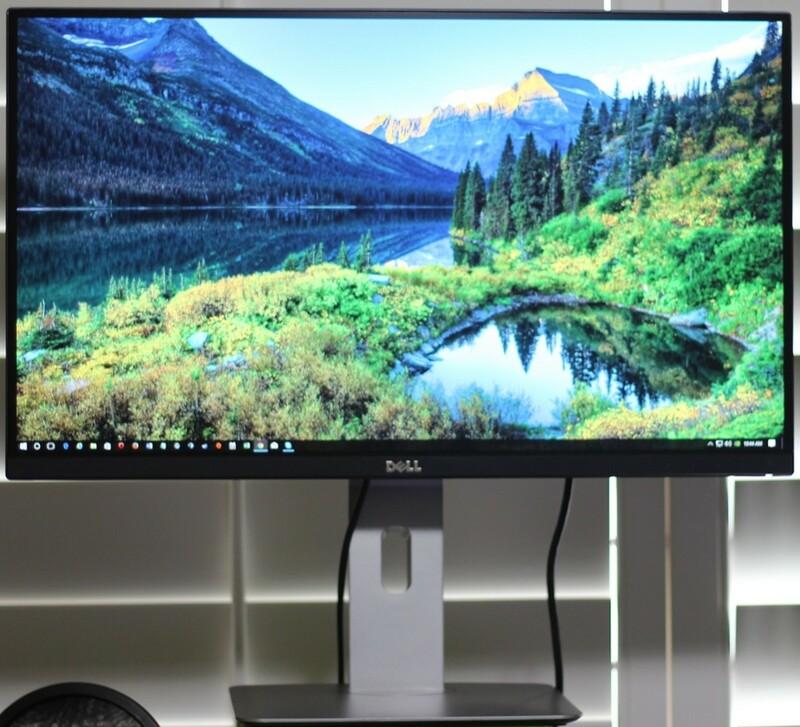 Good changes include the slightly more flexible cable, deeper thumb grooves, DPI buttons, and a slightly better sensor in the PM3389T3QU. 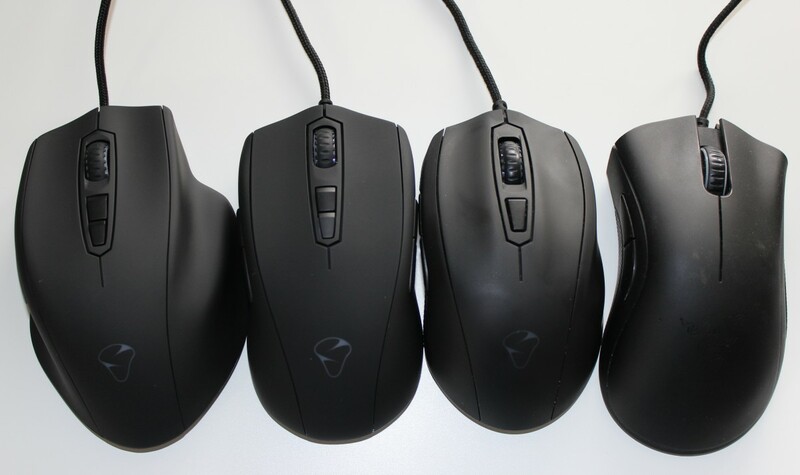 This is a picture I recently took to show the difference in shape, starting right to left, of the Razer DeathAdder, Mionix Castor, Avior, and Naos 7000. 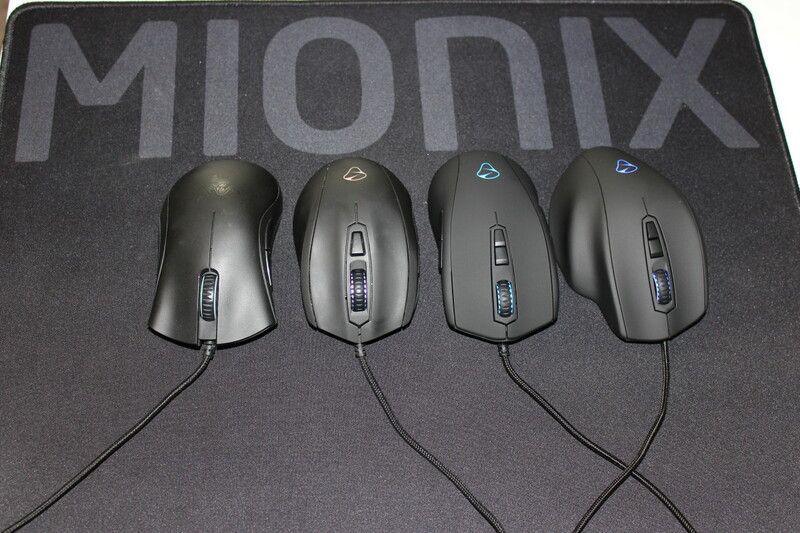 I've had the opportunity to use nearly all of the Mionix lineup and the Castor is their best gaming mouse yet. Their popular Avior and Naos are nice but lack the rubberized grips Mionix gave to the Castor. More importantly, the Mionix Castor Optical is lightweight and has a shape that works for palm, claw, and fingertip grips. If you want to know more of my thoughts on the Mionix lineup, I'll leave a video I made below so you can check it out. Beyond the size and shape of the Castor, it's the small details I like the best. Specifically, the way the thumb grip goes inward makes it easy for me to maintain my grip. Aesthetically the Castor looks nice as well with a matte black silky finish, customized LED lighting, and a braided cable. 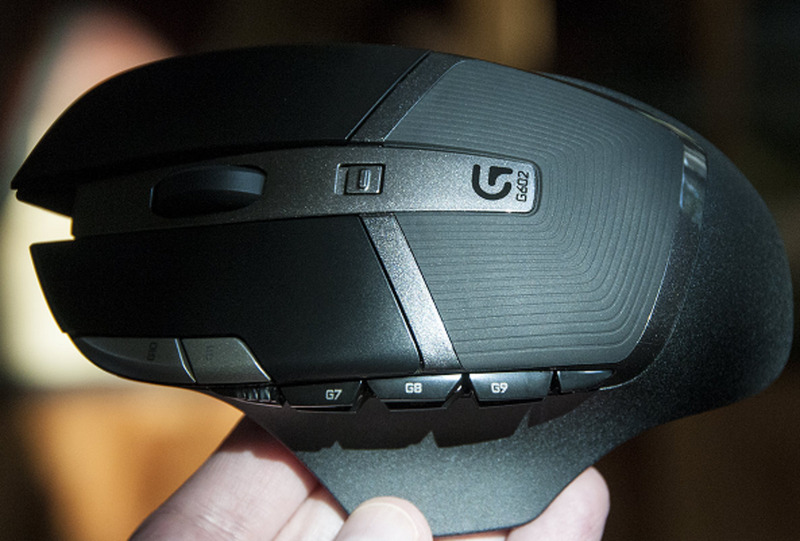 When you're playing games there are several reasons you'll be drawn to this mouse. As I mentioned above, its light weight is paramount for me. Also, it's easy to grip. The sides curve inward and make it easier to aim. That being said, this is my own personal preference. I have mid to large-sized hands and what I prefer may be different than what you like. Because fingertip grips can vary slightly, it's important to have a mouse that allows you to grip it in various ways. If you have a grip like this, then I highly recommend you go with the Logitech G602. 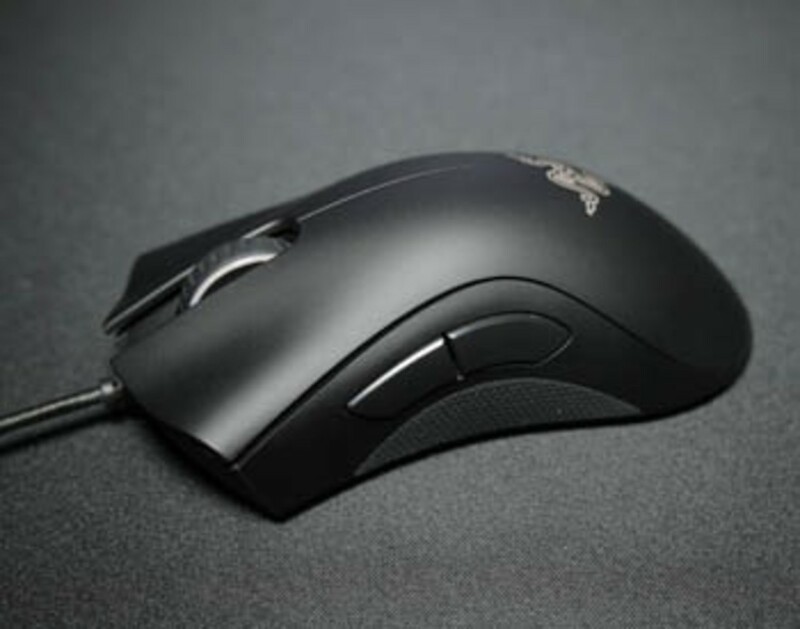 If you have small hands, you may opt for the Castor or DeathAdder instead; however, medium to large-sized hands that use a fingertip grip will be hard pressed to find a better shape or sensor. As a daily user, the Logitech G602 is currently my favorite. The thumb rest along with the free-flowing scroll wheel make browsing and working a breeze. That being said that same thumb rest may get in the way for some who aren't used to having one in games. Overall, the G602 is one of my favorites for daily use. If you're looking for a good gaming mouse that also functions as your work mouse, this is a great option. In games, it's accurate and well-made. If you're looking for additional options fingertip options, the Roccat Kova+ and CM Storm Spawn are good options as well. At the top we have the claw grip which is characterized by the rather large arch shape that the fingers make in order to press buttons. This is a great grip if you're looking for additional stability and accuracy as you use the bottom of your hand to stabilize the mouse. This is especially true in games where you have long movements of the mouse while a fingertip grip is typically the most accurate over short movements. 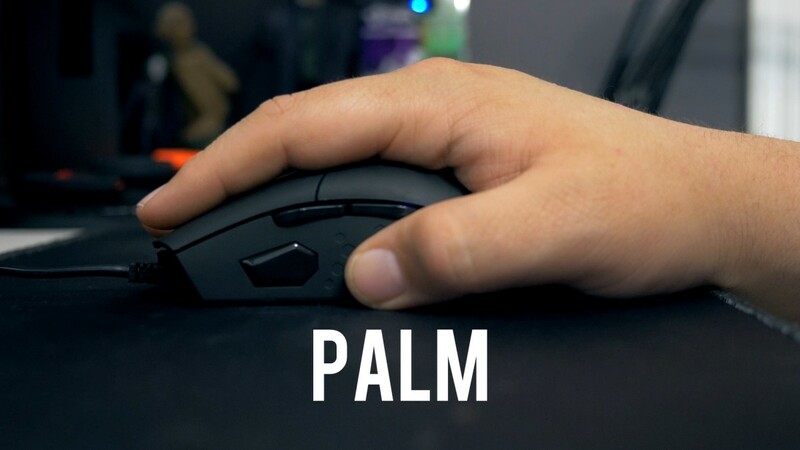 Above is the palm grip which is characterized by the gamer having a grip of the mouse with the heel of their palm. 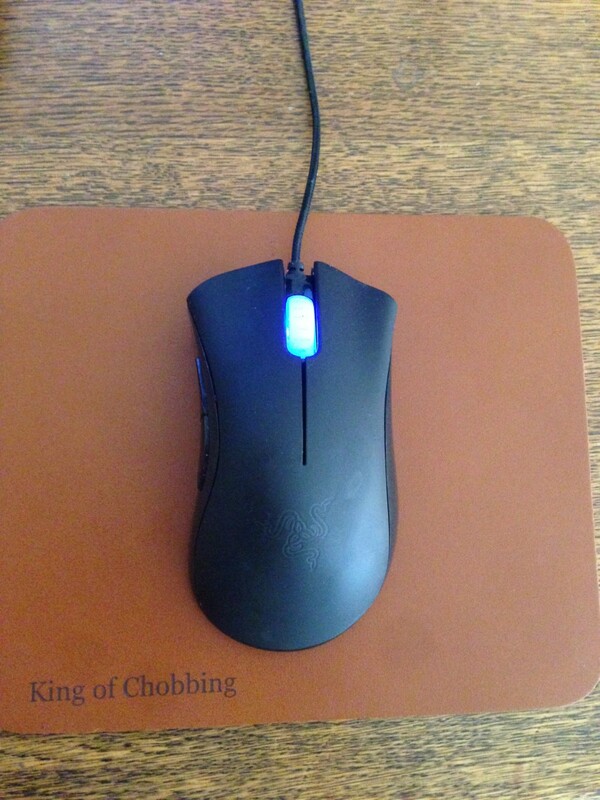 This particular grip works best with mice that have ergonomic contours which take the natural shape of the users hand. Gamers who have large hands or especially a large palm may find that this is the most comfortable to use. Those with very large hands may ultimately decide that they need to use the fingertip grip. In the end you lose a little bit of accuracy with the palm grip while not fatiguing as quickly as with the fingertip and claw grips. Above is the fingertip grip which is used when gamers use just their fingertips to grasp the mouse. This grip is very accurate when moving the mouse over short distances. The best way to use this particular grip is to learn how to use it with 3 movements; fingers, wrist, and arm. Use your fingers for short distances, wrist for medium, and arm for longer distances. Do Professional Gamers Ever Change or Re-Train Their Grip? Also, some people like to use more than one grip. 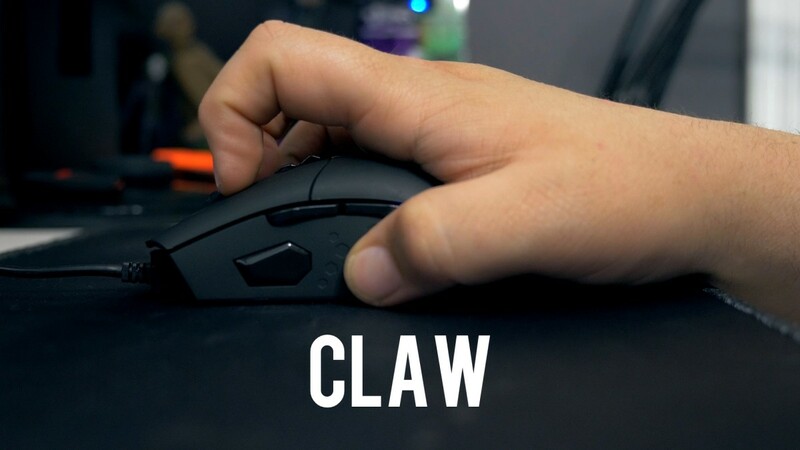 I typically use a palm grip while playing casually and switch to a claw grip when I'm in a heated match. What Type of Grip do You Use? Vote and Leave a Comment Below! Check out Rapoo v300c too. Unfortunately the best mice for fingertip grip are at low/mid range prices.They higher priced-known brands mice choose safe palm grip shapes usually.All the mice in the article are garbage for fingertip.They are all thic and big.You simply CANT fingertip without curved buttons.Like the "Keep Out X5" which also comes under the brand "Hama uRage Reaper 3090". I use claw/fingertip grip with big hands. For me the best mices are Rival 310 and DeathAdder Elite. I sent back Logitech G602, it is useless. this mouse is boxy and clunky for my big hands. Too many little buttons to press :). HONESTLY, the ONLY good mouse shape for a finger tip style player is the Bloody V7MA, it has the perfect sized ring finger rest. I have yet to find another mouse shaped like the Bloody V7MA. What was the mouse you were using in the examples of the types of grips? It looks good. @PleaseNoBS Good insight. I'm using a Logitech G Pro right now; it works well enough. I do wish it could be shorter, though. My grip style can be either the fingertip grip or a hybrid of fingertip and claw. That is, I'll either just use my fingers or will sometimes rest the underside of my knuckles on the back of the mouse (while still extending my fingers like in fingertip grip). 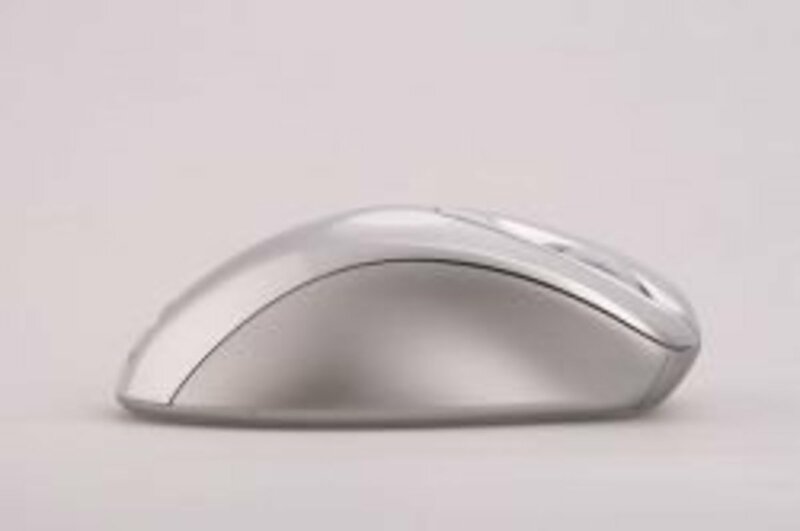 If there existed a mouse that had a good enough shape to allow effortless fingertip grip, I wouldn't need to use the hybrid grip as a 'rest' of sorts. Maybe just the front part of current mice is all I need. It'd be nice to be able to play around with the designs to find my own. @PleaseNoBS Thanks for your insight! I'm in the market for my 4th mouse in 3 years. I played competitively a decade ago and the mice that worked well back then aren't around anymore. I'm amazed by how quickly these "gamer" mice wear out. My Corsair mouse wore out after 4 months of moderate usage, the shell was nice but the components are garbage. 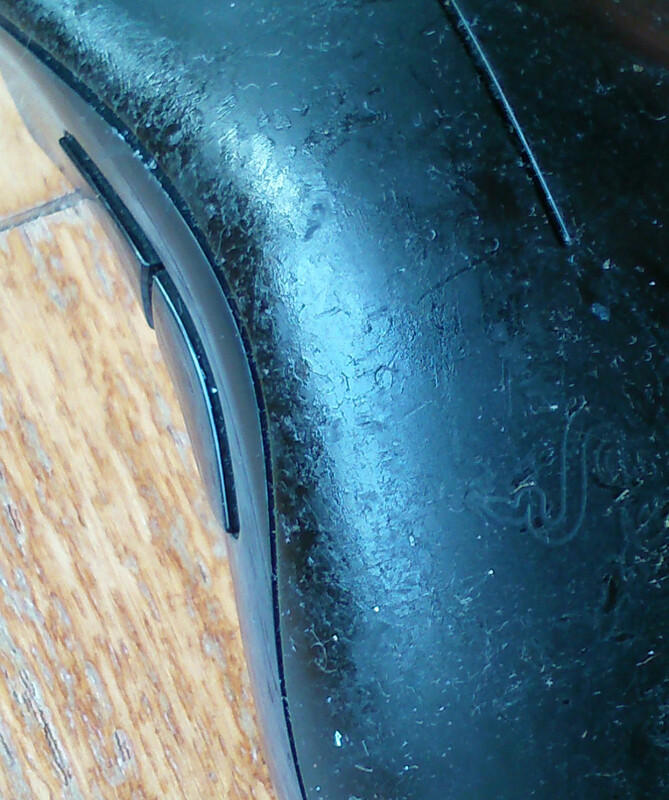 My Razor mice all wore out after 6-12 months. I had a friend swear to me that Roccat was better than it was, but I wasn't sure if I could take his word since he was recently paid to review their stuff. I wish there was a mouse that had easily replaceable components. The author clearly is either paid by the manufactures of these mice or never plays games even at a mediocre level. I am a professional game player, multi genre with numerous world records. I also use to have three PC retail and repair stores, where I specialised in high-end gaming. Since the year 2000, I have dealt with every manufacturer and their RMA policies. All new mice are garbage, the have the same internal components made in china with a different brand stuck on them and the word “Professional gaming” and a bumped up price tag. They nearly all suffer with the double click issue. “have what I'd consider flawless optical sensor” Total BS try selecting a single pixel in Photoshop with any new mouse at any DPI. The life expectancy is about 5 months for a professional gamer. The RMA Policy is so bad you will lose interest and buy a new mouse, I could post pages and pages of support chats and emails I have had with the top brands. Roccat and Corsair are by far the worst. None of the mice designed are designed with the shape of your hand in mind. Its all style over substance. Adding lights to a mouse is a gimmick and a distraction; could you imagine a professional snooker player with lights on his Cue? Also the author is completely uneducated about the different grip styles. Using different positions actually activates different parts of your brain. The most effective if well trained (AKA Professional) is the fingertip and before anyone starts with their opinions, write your name with the palm of your hand then again with your fingers, see the difference? Plam = ape like Fingertip = years of evolution. Now the reason it’s almost impossible to get a good fingertip mouse is because the general public aka armatures use the palm because they have less skill, so the manufactures are making a generic product for the masses and NOT a Professional Mouse as advertised or as required by professionals. The last professional mouse was the A4Tech XL-760H Laser Gaming, unfortunately they didn’t have a huge advertising budget so no one knows about them. What kind of grip would it be if I use my fingers and the very upper part of my palm (right at the base of my fingers) but not the rest of my palm? I thought claw grip, but my fingers don't arch like claw. But it's not exactly finger grip either, since I use part of my palm. I finally bought a wrist rest so that my wrist didn't tire as easily, since I usually play with it raised off the mousepad or propped on the edge of my table so that the lower palm doesn't rest on the mouse or the pad. I like a mouse with a shape that I can lift from the sides, but also I HATE when the back of the mouse hits my palm. I think it's fair to say I like an extreme version of fingertip, when literally ONLY my fingers touch the mouse. I also like a smaller mouse. 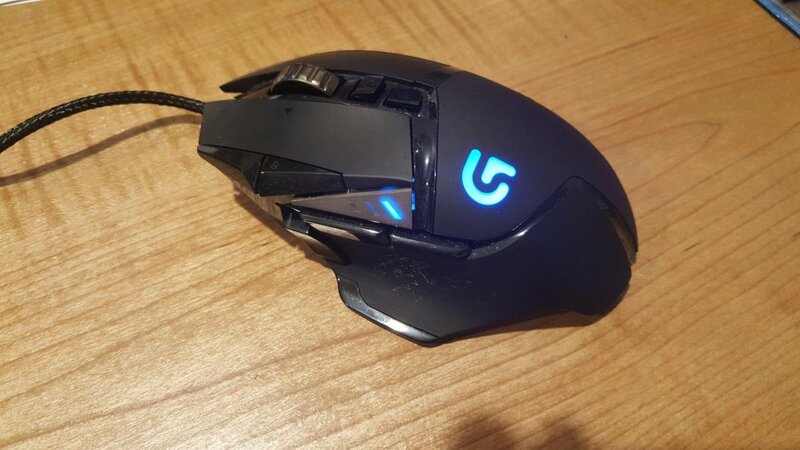 Best ever finger tip mouse is Raizor Taipan cause it has such shape that you can lift it up using your thumb and little finger and it wont slide down like ice!!!! The source don't know what a fingertip grip is. He's still showing a palm grip. Excellent article. People with tiny princess hands need to get over themselves. For me, a G602 is a perfect fingertip grip mouse... the problem is I want a full size palm grip mouse. Poor Article mate. Best fingertip grip mouse are small in size. Zowie FK2 and ZA13 are considerably good. Maybe this guide makes more sense for people with large (19cm+ long) hands, as the "correct" mouse for each grip varies by hand size in addition to grip, and of course shape preference. For instance, people with small-medium sized hands on fingertip would likely be much better served with a lighter, smaller mouse like the G203 / G Pro, than the huge G602. Also, the picture of the fingertip grip looks like a loose palm grip, from the angle given. You don't want use a brick like Logitech G602 for fingertip grip. It's certainly possible, as I used it's predecessor for quite a while, but it's simply too heavy for fast movements over the course of several hours. Also, the picture provided for fingertip grip does not actually show fingertip grip. 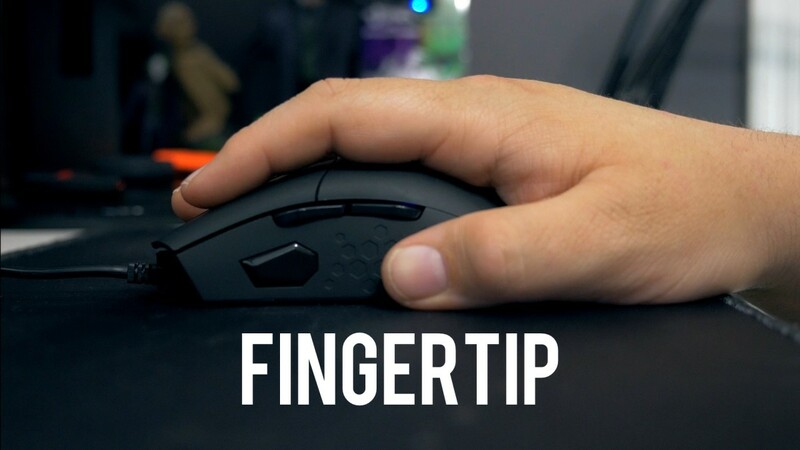 When you're fingertipping, your palm would typically rest on the mat and there would be ample space between the base of your palm and the back of your mouse, which allows the mouse to be moved up/down/side to side, using only fingers, not involving the arm at all. Dont think Deathadder is great fingertip mouse. As a fingertip user, I want something smaller. Simpler, smaller, three button mice work great.